Old-fashioned word-of-mouth, talk-to-friends networking has found just-in-time temporary housing for our 31-year-old asylum seeker from Tunisia. A man who met Mr. T (the Tunisian) at an open house hosted by T’s host for a week, mentioned to someone he knows of our need. Although the woman hadn’t met Mr. T. she responded by volunteering to let Mr. T stay with her until mid-September. All done without the help of Mark Zuckerberg or the Twitter bird… although I very much appreciate how my friends helped spread the word of our plight online. For now, we are off Red Alert! Our sensors are scanning for a place in September (and that’s also the last month our refugee from the Congo at his present place. I guess we are on Yellow Alert (which is better than Battlestar Galactica’s Condition Orange). 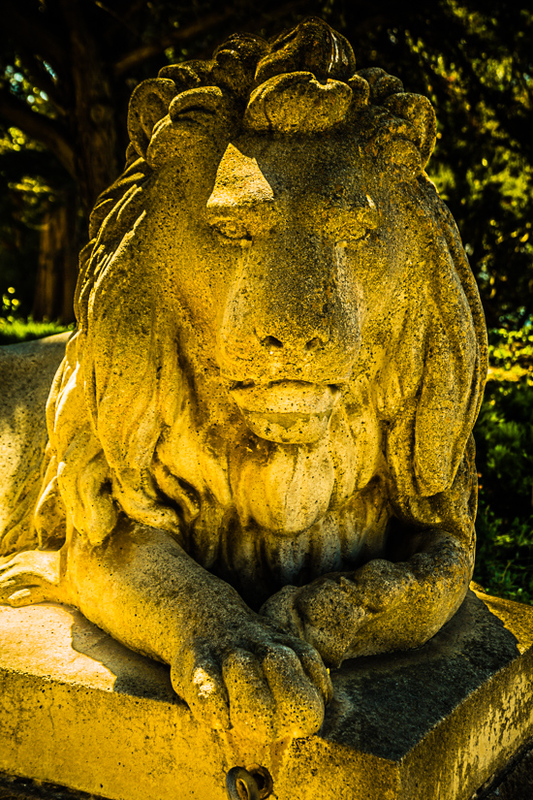 The lion in the photo is guarding the gardens a block away from Mr. T’s new place. This entry was posted in General Comments and tagged Networking, Refugee housing on July 12, 2015 by Galen Workman.